This dairy cow just seemed to know to move in front of the grain bin when i pulled out my camera!! Maybe because this is next to the Fearrington house restaurant, NC's most famous restaurant, which has beem featured in many fine dining magazines. I guess the cows are used to the paparazzi! Best viewed in X2 and above. Thanks so much for viewing my photos and commenting!! 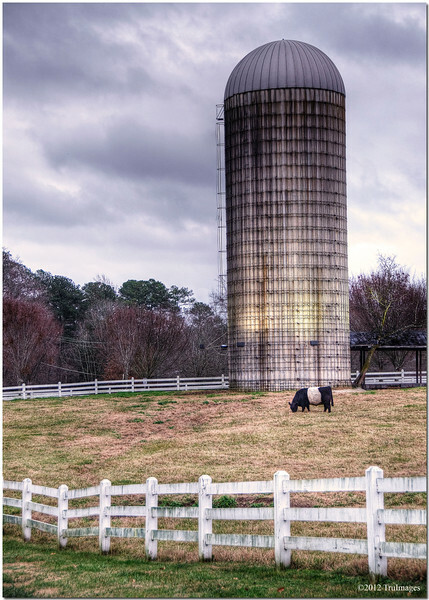 I love this old silo which would be great in any light conditions, but this gray day photo is awesome! Nice find and well shot!